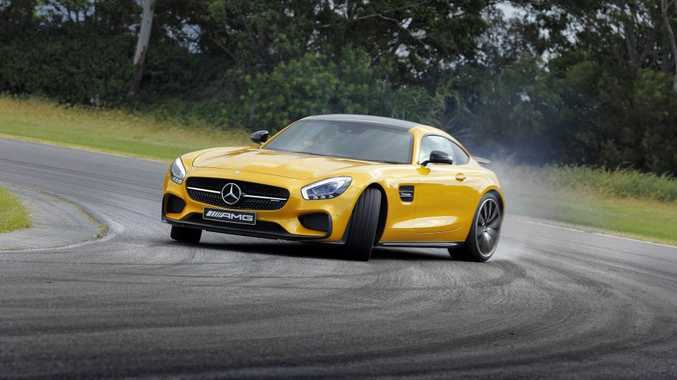 Mercedes-AMG GT S: We take the new Mercedes-AMG GT S for a spin around Norwell Park Raceway. Starting from $295,000, it’s a fair step down from the SLS which retailed at $467,500, but the newcomer loses in the performance realm. They share the same 0-100kmh sprint time of 3.8 seconds, and some underpinnings, but this new GT gets the job done with a 4.0-litre V8 biturbo rather than the SLS’s 6.3-litre V8. ALREADY there is an aura of greatness about the Mercedes-AMG GT S.
For this is the new halo offering from the three-pointed star. While SLS production is confined to the history books, this is Mercedes playing in the more affordable two-seater sports car genre. Starting from $295,000, it's a fair step down from the SLS which retailed at $467,500, but the newcomer loses nothing in the performance realm. They share the same 0-100kmh sprint time of 3.8 seconds, and some underpinnings, but this new GT gets the job done with a 4.0-litre V8 biturbo rather than the SLS's 6.2-litre V8. 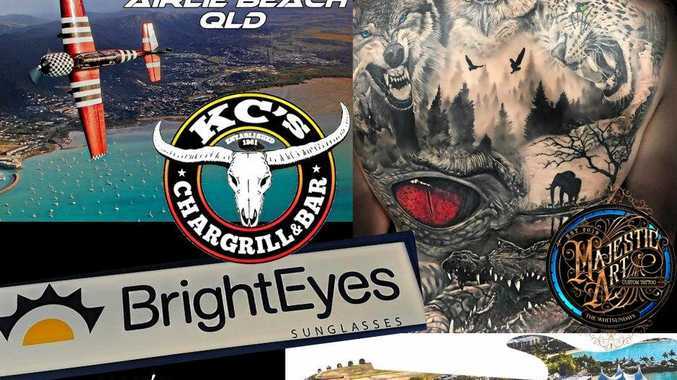 Deliveries will start from July, but we were given a quick spin on the track at Norwell not far from Dreamworld on the Gold Coast and it proved to be a wilder ride than anything the theme park could muster. Sporting seats have an enveloping feel as you hunker down and prepare for the good times ahead. The latest interior designs from Mercedes have impressed, like the S-Class and C-Class, while the GT is also awe-inspiring. An arresting wide console captures immediate attention. Overlooked by the chrome turbine-looking vents, the console features four buttons on each side with the main computer system dial and touch-pad sitting centrally. A stubby little gear shifter, similar to the one found in the A45 and CLA45 twins, sits at the back - an awkward reach for this vertically challenged individual. Common sense isn't completely forgotten, there is a pair of cup holders in the centre and a storage bin. You also get some space behind the seats handy for small bags and other bits and pieces. Oh, and there is also a boot too. Just don't expect to fit a hefty suitcase. Launch the GT's heartbeat and it sounds throaty without the awe-inspiring soundtrack we've loved in the past from these raucous AMG machines. While not meaty like the 6.2-litre bent eight, this 4.0-litre bi-turbo is smoother with a hint of gravel…somewhat Rod Stewart without the wimpy frame. Best of all it sounds brilliant from within. The beauty of modern technology means you can turn up the exhaust tune at the push of a button. You can turn bent eight pleasantries into pure dirty talk - it's romance Mercedes style. That works even in comfort mode, so you don't have to be tickling the tacho just to hear the AMG music. Our driving experience proved all too short, but we found the GT S to be remarkably simple to drive fast. Restricted to a tight and twisty 2.1km track it displayed outstanding prowess in changes of direction with a wonderfully linear power delivery that offered no hesitation in translating grunt to the bitumen. Set up with 47% front and 53% rear weight distribution, it's the same front mid-engine layout as the SLS, and sawing left to right the front end grip was prodigious. Even the ceramic brakes managed to feel progressive with gigantic discs for ample anchorage prowess. The GT S has 19-inch tyres at the front and 20s on the back, which help provide a sticky ride. There are also a range of suspension and stability control modes which can all be altered via console switches. Dial-in the sportiest variances and the persona of smooth mover is transformed to outrageous and insane. Yet it manages to make the driver constantly look good as the electronic aids mop-up shortfalls of the pilot. The seven-speed automatic is instinctive and even on the track there is rarely a need for the driver to make use of the paddle shifters. Apart from a body made nearly entirely of aluminium and a cockpit design to make you feel like a racing car driver, on the complimentary list are items you'd expect like cruise control, sat nav on the large colour screen, dual zone air con and 10-speaker Burmester sound system with full Bluetooth capability, along with adjustable damping and three drive modes. It also gets the AMG Dynamic Plus package, which adds dynamic engine and transmission mounts, a sharper spring and damper tune for the adjustable suspension setup and an adaptive speed-sensitive steering set-up. Safety kit includes adaptive high-beam, adaptive braking, collision prevention assist plus, attention assist, lane-keeping assist, blind-spot monitor, and semi-automated parktronic reverse parking with a reversing camera. For an extra $19,900 you can get the Edition 1 pack, which come with an aerodynamic package in black with a larger front splitter, along with a range of other features in black like the diamond grille, fins in the grille, exterior mirror housings and tail pipes, while it also has a carbon fibre roof and 10-spoke alloys (you guessed it, in black). When you are parting with the best part of $300k, who cares about the maintenance? Fuel consumption isn't the highest of concerns either, but with an average of 10 litres for every 100km it's pretty impressive for a car that can belt around a track with dexterity and then take you to the movies. 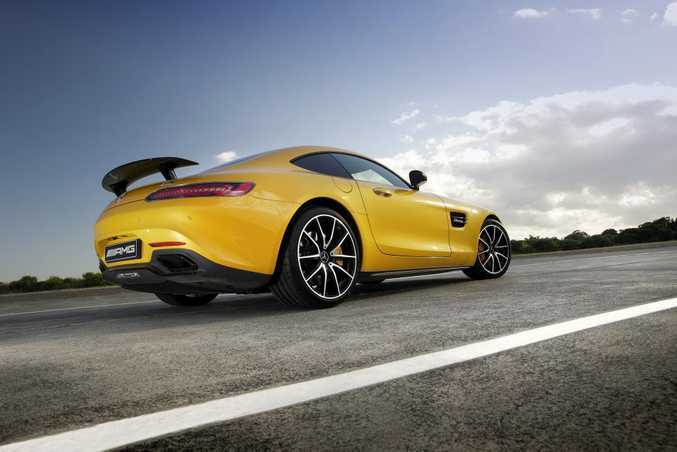 With its long bonnet, bulging wheel arches and swooping rear end lines, the GT is arresting from every angle. And the interior seals the deal by resonating sporting opulence. Mercedes-AMG is only getting started. 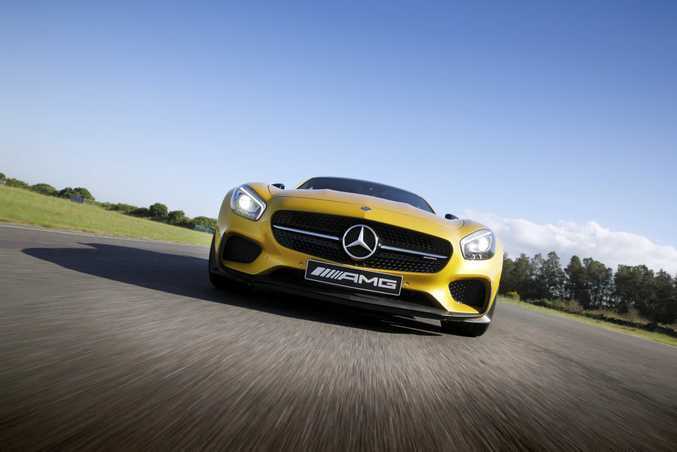 This is the beginning of something stunning from the three-pointed star's performance arm. Strap yourself in for a Black Series in the not-to-distant future, which is sure to deliver faster acceleration times and brutal track ability. Early indications are that the initial allocation assigned to Australia has already been sold, so anyone keen to get behind the wheel may need to join the queue. But it's worth the wait. What we liked: Breathtaking good looks, cabin style. What we'd like to see: Shifter moved forward. Warranty and servicing: Three-year unlimited kilometre warranty. Servicing is at 25,000km or annually. Up-front servicing plans available. Verdict: Reserved until we get an on-road test. Details: Two-door two-seat front mid-engine sports car. Engine: 4.0-litre V8 biturbo generating maximum power of 375kW @ 6250rpm and peak torque of 650Nm @ 1750-4750rpm. Consumption: 9.4 litres/100km (combined average). Performance: 0-100kmh in 3.8 seconds; top speed 310kmh. Bottom line plus on-roads: $295,000, Edition 1 $314,900.